Do you struggle to remember which day the wheelie bin driver is collecting? 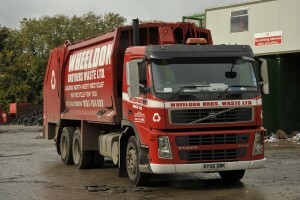 Wheeldon’s operate bag and bin collections in our local area on set days to reduce haulage costs and damage to the environment. This allows us to provide a cheaper wheelie bin collection service to our customers. Also, for your convenience, you will see the same friendly driver at your premises each week/fortnight. 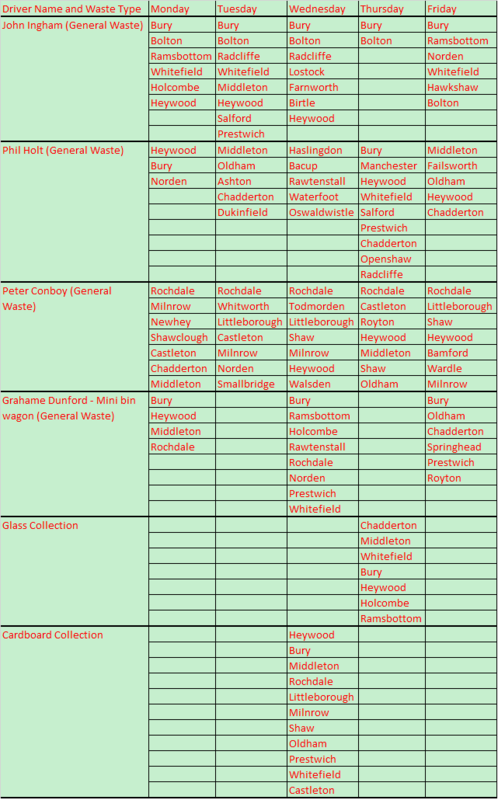 Wheeldon’s are here to help you remember which day to put your bins or bags out and this is shown in the table below.We also do a cardboard collection round on a Wednesdayand a glass collection round on a Thursday for selected areas only. Bank holiday Mondays are generally coveredon the day after i.e. the Tuesday whereas Good Friday is usually done the day before i.e. the Thursday. Extra drivers are put on the rounds to cope with the extra work. 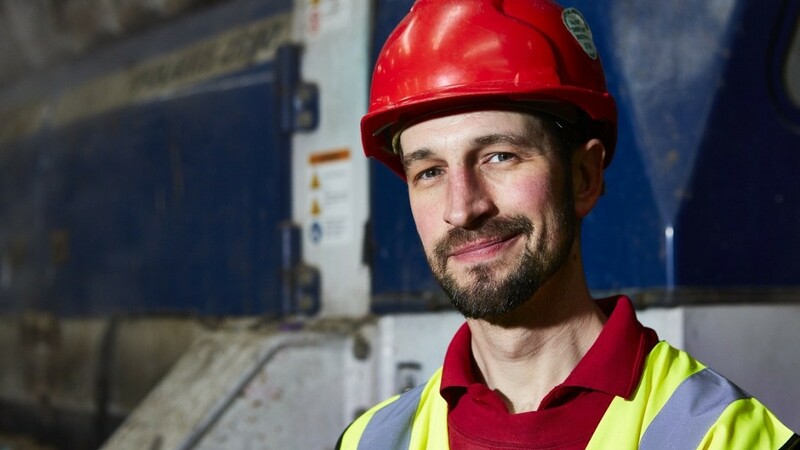 Your regular bin driver works the 3 days between Christmas and New Year, serving those businesses who need waste collections. Please telephone to request or cancel this service as we cover the Christmas bank holidays within the 3 working days after Christmas. Covering all the areas in 3 days instead of 5 can be difficult so therefore your flexibility is appreciated. New Year’s day is covered with extra drivers working the day after. Your standard price will be charged for this service, please note there is no additional charge.